B Vitamins: are necessary for healthy brain and nerve cells, for normal functioning of the skin, nerves and digestive system. Calcium: for strong bones and teeth and to help keep the body more alkaline, rather than acidic. Potassium: helps reduce the risk of high blood pressure and stroke. Folate: a B vitamin that our bodies don't produce yet dry beans are our single best source of this important vitamin which helps protect against heart disease and cancer. 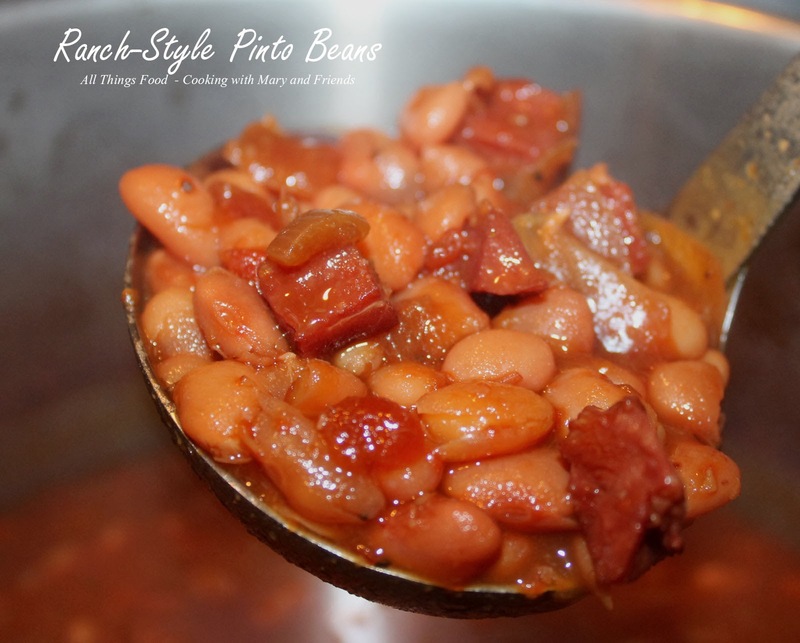 These Ranch-Style Pinto Beans are full of flavor and delicious. The addition of the ham makes them a meal in themselves simply served with cornbread, or they are a great side dish with all grilled meats. Rinse beans well and drain (no need to soak). Add beans and all other ingredients to a large stock pot. Cover and bake 3-4 hours; stirring occasionally. Taste beans after the first 2 hours of baking and adjust all seasonings to taste. Beans will be soupy, and thicken some while baking. If canning, ladle beans and liquid into quart or pint canning jars (you want them to be soupy). Process pints 75 minutes and quarts 90 minutes at 10 lbs. pressure in a pressure canner.